"An easy, quick appetizer that I first tasted at a Native American wedding ceremony. 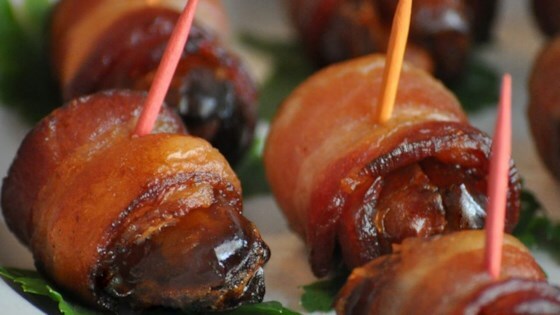 Dates are stuffed with almonds and wrapped in bacon!" Slit dates. Place one almond inside each date. Wrap dates with bacon, using toothpicks to hold them together.